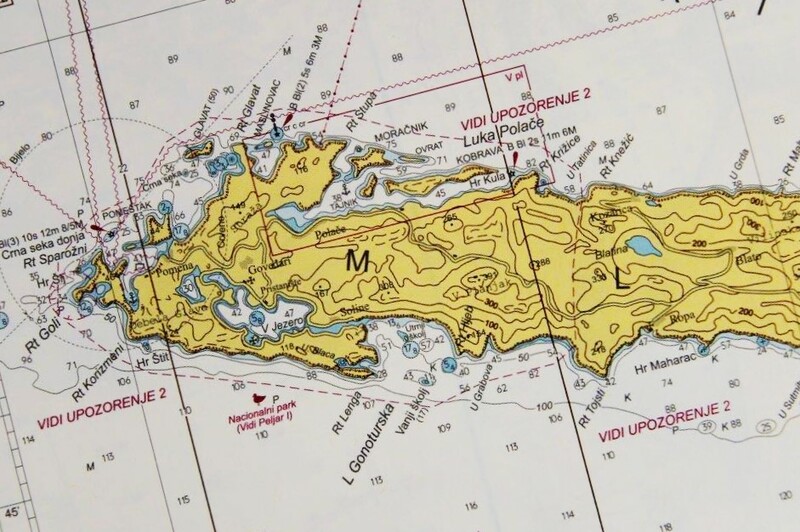 When sailing the islands of Croatia, the only hard part is deciding which islands to see and which ones to skip. We found a little of both. 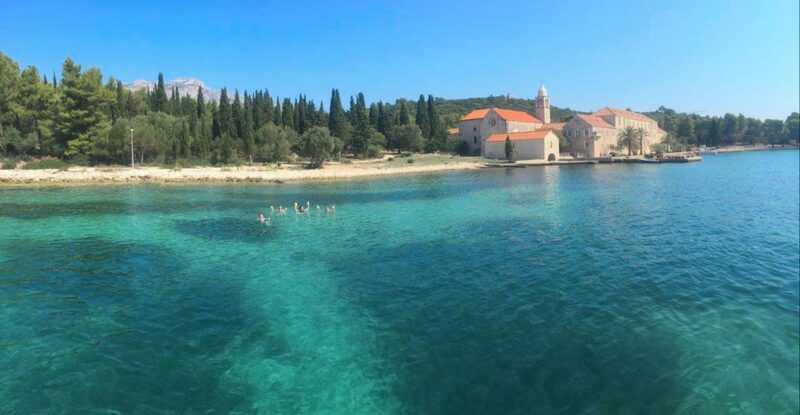 Our third overnight sailing the islands of Croatia was in a very small, cozy cove just around the corner from the small town of Brna on Korčula Island. It was a great end to a wonderful day at sea visiting the Green Cave and jumping off the cliffs of Stiniva Bay on the island of Vis. The water in the cove was crystal clear and we could watch lots of small fish including ones that looked not like fish at all, but rather long straws or pieces of grass, in large schools of 100 or so. As we sailed into the cove, the drinks started to flow, the music was playing, and we were living our dream. This was the evening we fondly refer to as “Dance Party #1” as the girls started to get a bit tipsy while the guys enjoyed a nice cigar. More music and more drinks, the laughter and fun times grew as we were clearly settling in to a new lifestyle. 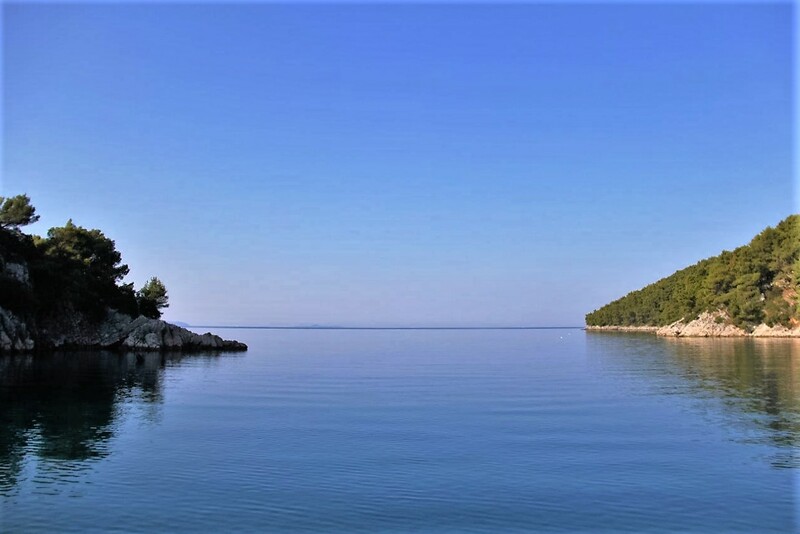 As the sun went down on the warm and calm evening, it was clearly another perfect day on the Dalmatian Coast. We finally settled down to a dinner of the fresh fish our friends bought in Komiža early that morning. After dinner we settled down a bit, switched to a more mellow set of tunes, and relaxed under the star lit skies. 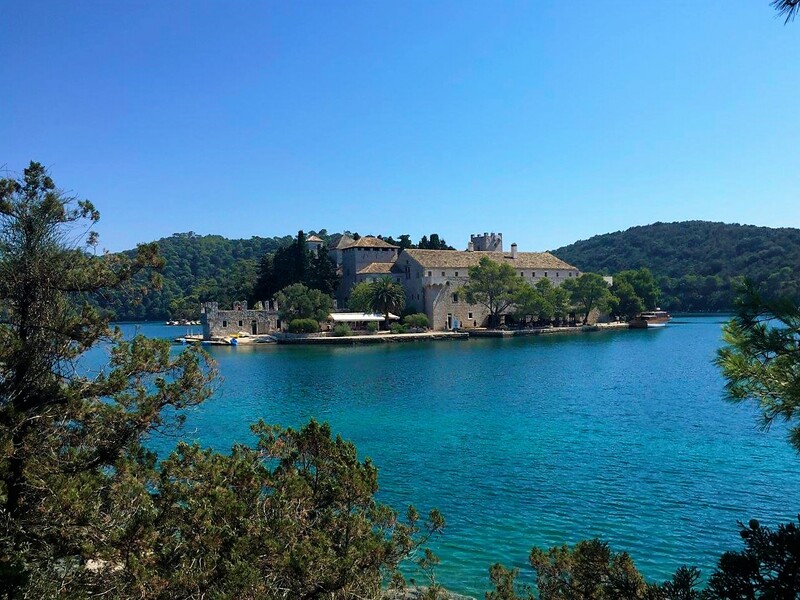 The morning after Dance Party #1, we set sail for Mljet National Park on the island of Mljet. 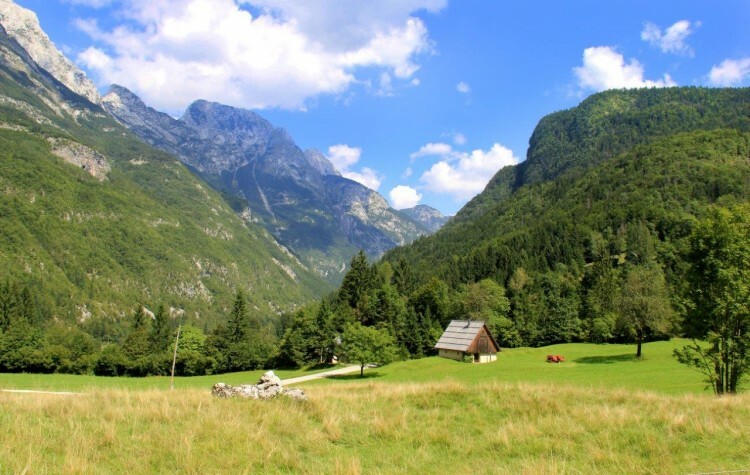 The national park encompasses the western half of the island and is dominated by what we thought were inland lakes with an island, basically an island within lakes within an island within a sea. 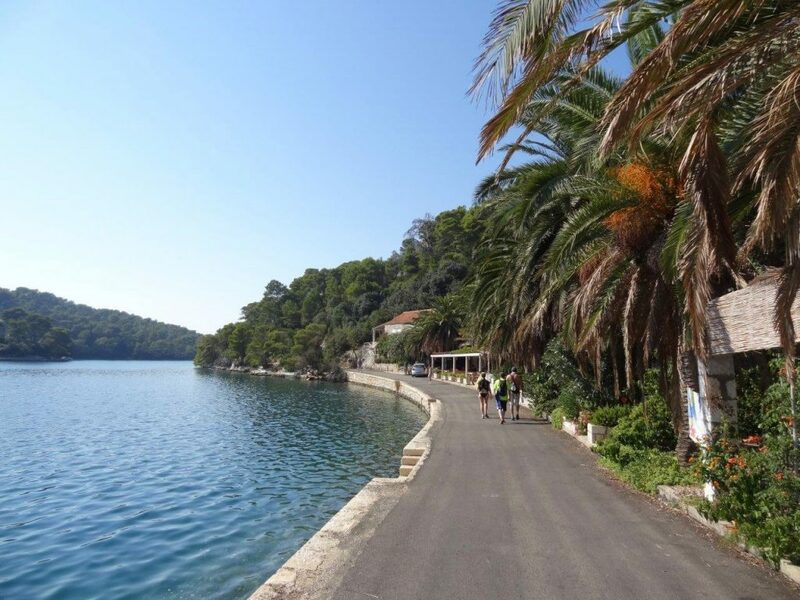 On arriving at Mljet, we wandered our way from the waterfront up the pathway to the entrance of the park and started down the path. A couple hundred yards down the path they were collecting tickets, but we didn’t see a place where we could have bought them. So we had to head back down to the main town to find the tickets, then head back the way we had just gone and enter the park. Once we got to the water, my friend Chris and I jumped right in. Surprise! It was salt water after all, and pretty salty at that. Turns out there is a small inlet between the lakes and the sea and apparently there’s enough exchange of water, and very little freshwater, that all these lakes are really a part of the sea. 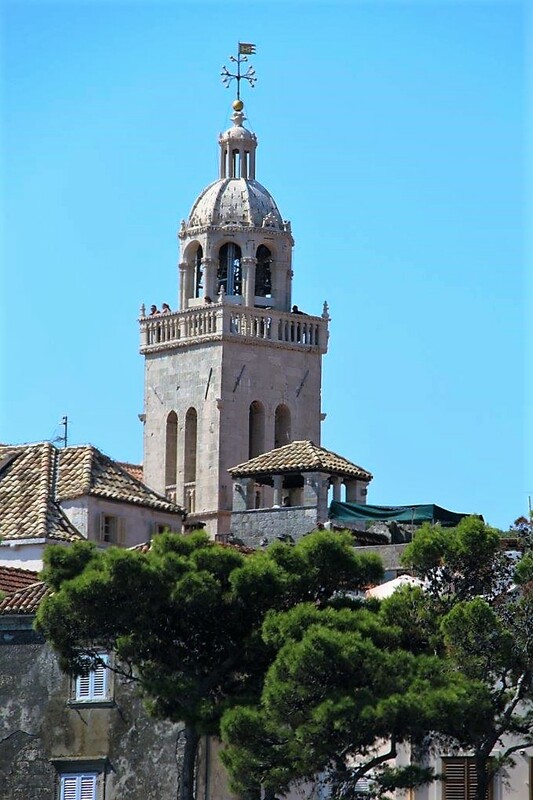 We took the long way round the lakes, getting some nice views of the 12th century Benedictine monastery on the Island of St. Mary. It is forbidden to swim over to it, even though it would have been a simple task, and we weren’t looking to rent a taxi to get there. So we just headed past. We ended up swimming across one of the inlets with a surprisingly strong current, rejoining the path and shortening our already long walk by at least a mile. 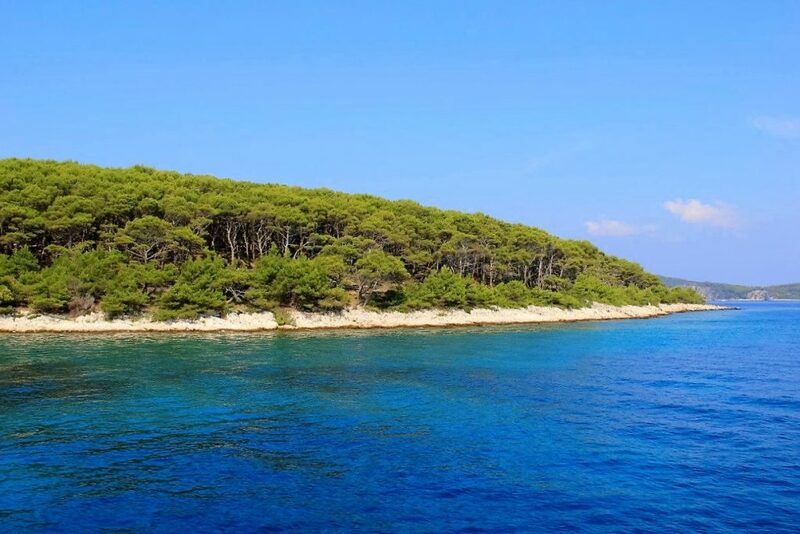 We had a nice time on our walk, and the park is very picturesque, but we all agreed that if you’re sailing these islands, Mljet NP is probably something you can skip and not miss out on much. 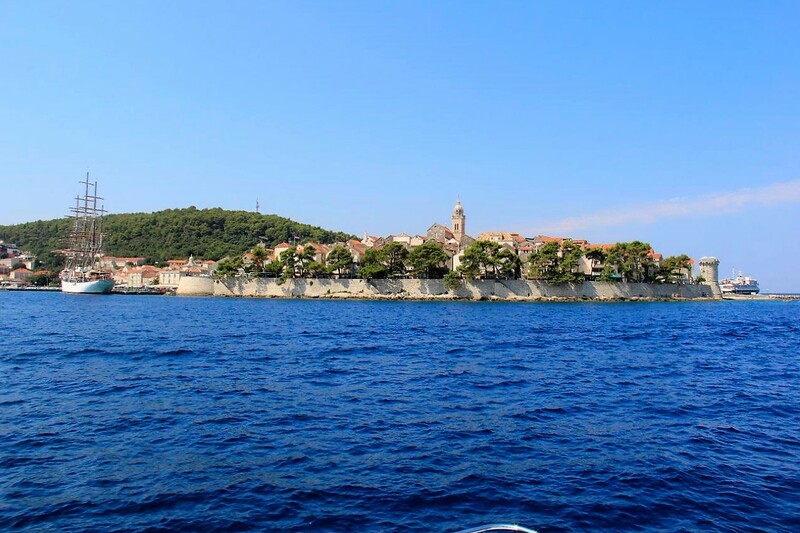 Sailing the islands of Croatia can be expensive, so it’s never a bad idea to find a way to save a little money. 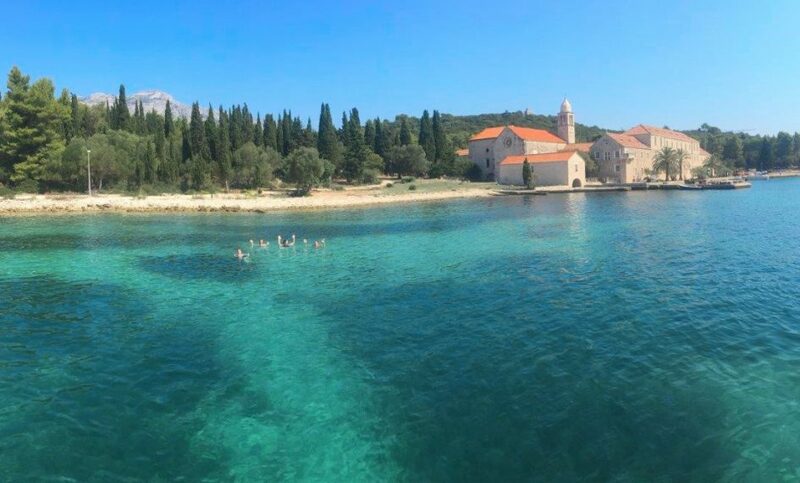 Because the major port towns along the Dalmatian Coast and the islands charge an arm and a leg to overnight in their marinas (and they are packed and loud) our helpful skipper took us to the quieter and less expensive marina in Lumbarda just a 5 minute taxi ride from the beautiful old town of Korčula. After much needed showers and a brief restocking of snacks, we headed off to the town to see what all the fuss was about. 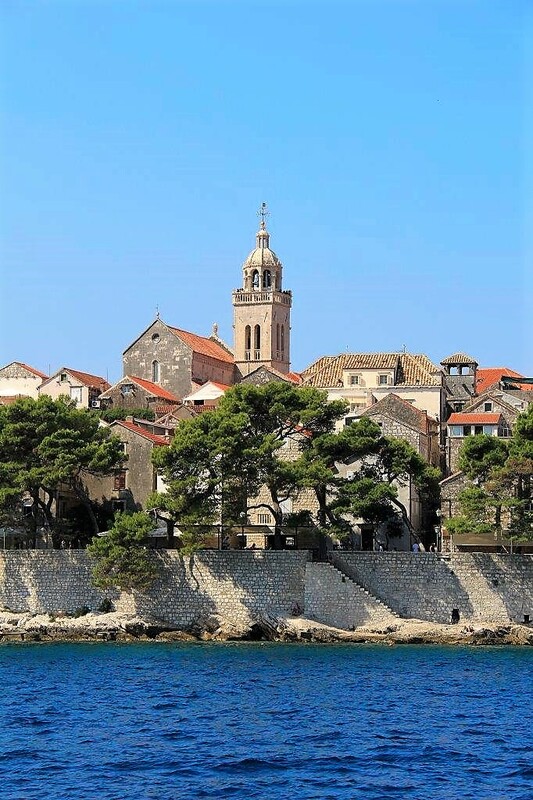 Korčula is a great town, smaller than Hvar but larger and with more to do than a lot of the other villages on the islands. 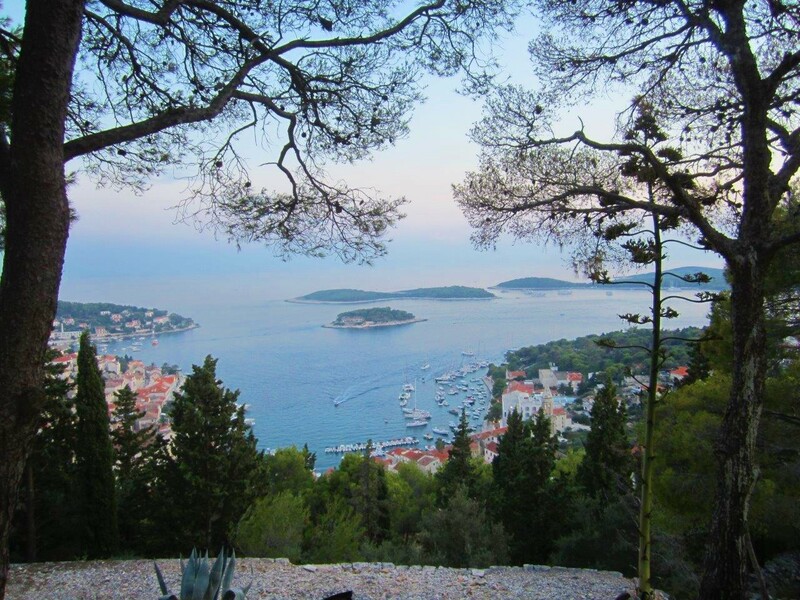 We found it to be very charming from it’s opulent entrance gates to it’s romantic walkways, from it’s good restaurants to the best gelato parlor in all of Croatia, oddly named Kiwi. 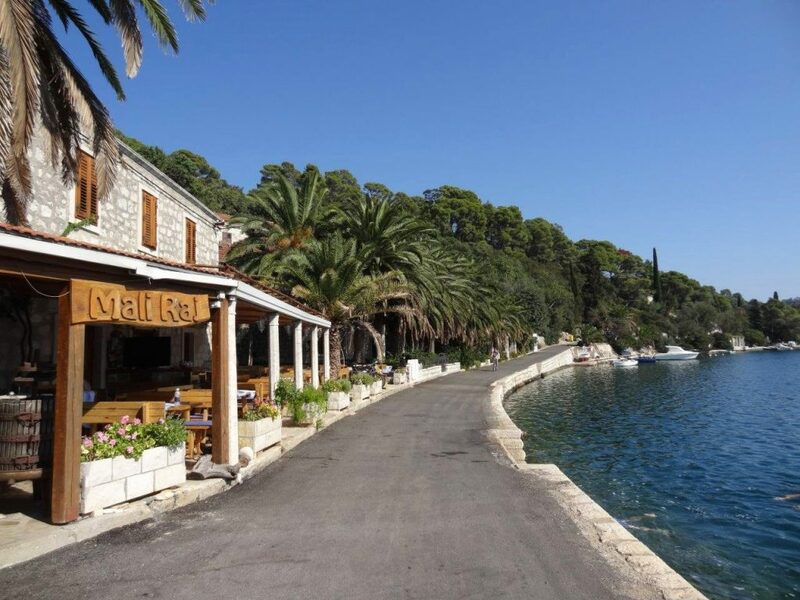 We walked the pathways of Korčula for a few hours as the sun was going down, again with beautifully warm weather and a calm breeze. There was just enough energy in the little village that night, tourists that made it look inviting, but not overwhelmed like it can be in peak season. We found a nice restaurant down a side walkway and found a table quickly. The attentive waiter took our drink and food orders, and returned a short while later with some excellent pasta and pizza that rivals the seaside village restaurant of Italy, seriously. After dinner we continued to meander the walkways, but this time on a mission to find the gelato place that Carolyn had read about in her tour books and on line. After losing our way a couple times, we asked a helpful maitre’d at a restaurant and he gave us adequate direction that led us to Kiwi. I honestly couldn’t tell you what gelato I ordered, but I ordered a lot of it and it was incredible, and equal to that of Vigo in Ljubljana. We all got our own order and swapped tastes of each other’s selections. No one was disappointed. Score another one for Carolyn. A great ending to another great day. 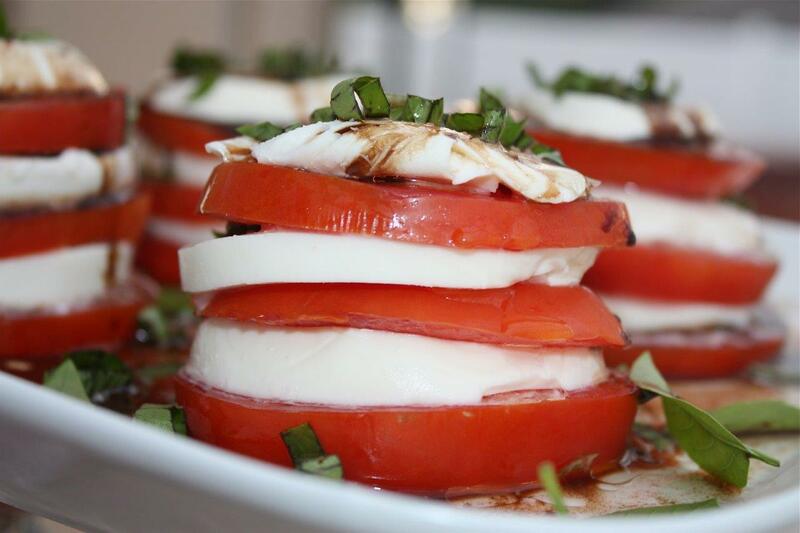 Does life get better than this? 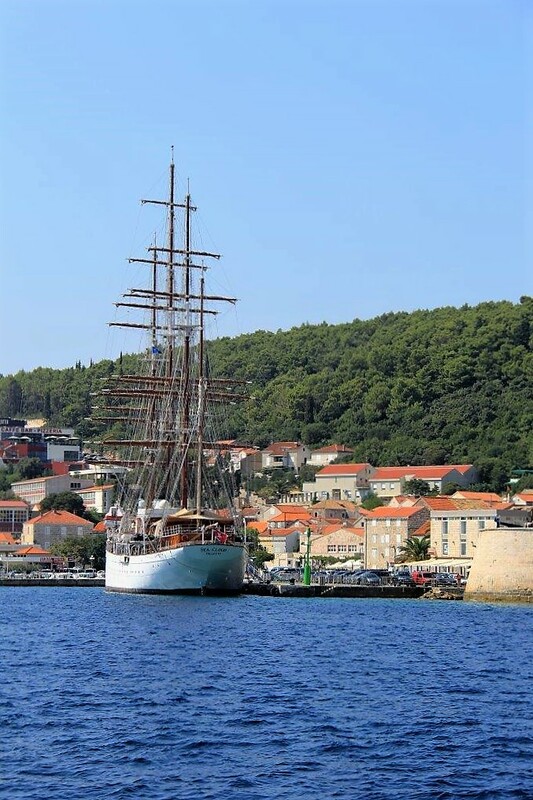 Gorgeous multi-sail ship docked at Korcula. 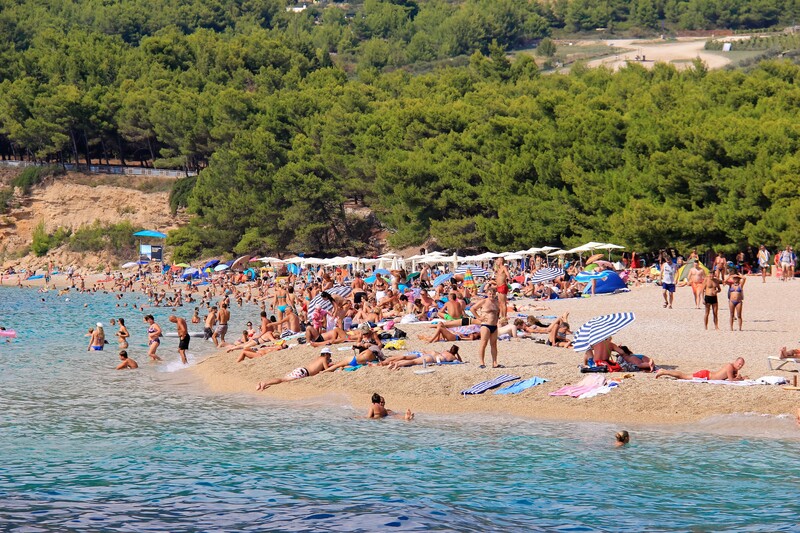 Zlatni Rat (rat=beach) is one of those places you see in the travel photos that looks like a beautiful sandy beach with no one around, utter paradise. It juts out from the southern end of the island of Brač with seemingly no reason for it to be there. I suggest before you plan your vacation around visiting this deserted beach, do a quick photo search and you see what we saw, hordes of people hanging out on a cobbly and pebbly beach. Don’t get me wrong, it’s a pretty cool beach, just don’t plan on frolicking on it with your loved one in just the outfit you were born with. There were hundreds of people, lots of boats, water sports, you name it. 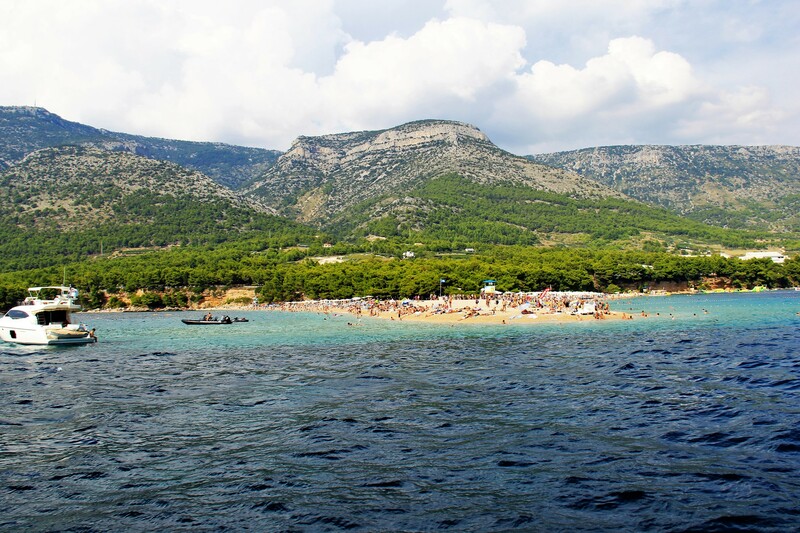 It was fun to visit, but not a place I think I’d want to spend more than the hour or so we spent there, and this was in early September, after peak season for sailing the islands of Croatia. Gorgeous photos! Can we go back already? You are absolutely right Maria! Thanks for catching that, it allowed us to correct it! 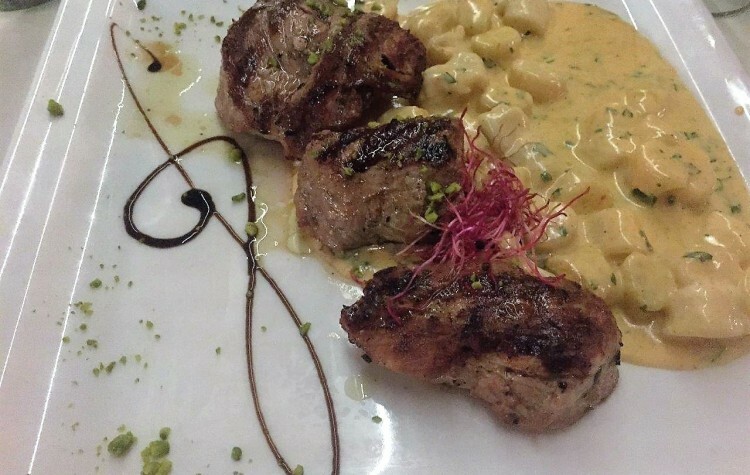 Perfect Rack of Lamb with Tibouli, Amazing Pork Medallions and Gnocchi, Incredible Beef Stew and Risotto at Don Dino’s in Trogir Old Town, Croatia.